I think these are the best sound kits for making beats. 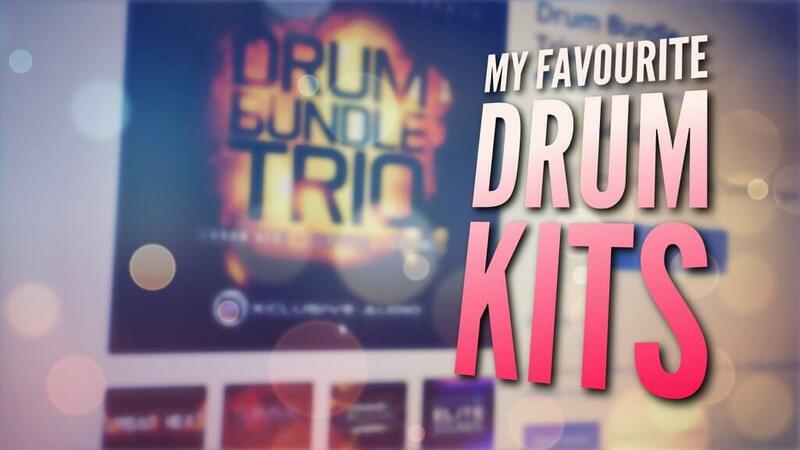 They are my favorite drum kits which I actually use, and allow me to create my high quality music. Through my journey, I’ve purchased some good and some bad sample packs. And I know it always feels amazing when you make the right purchase. So here you go – These are sound kits I personally use and recommend to you. I used to operate a production site called Beatstruggles.com, and sell sound kits at SoundPackFlyer.com – through these sites, I made some awesome connections with premium sound kit creators! Each kit below contains a little story of how I’ve discovered the kit! Here’s a little story on this sound kit. I’ve actually been in contact with Xavier, the founder of Xclusive-Audio, for quite awhile. 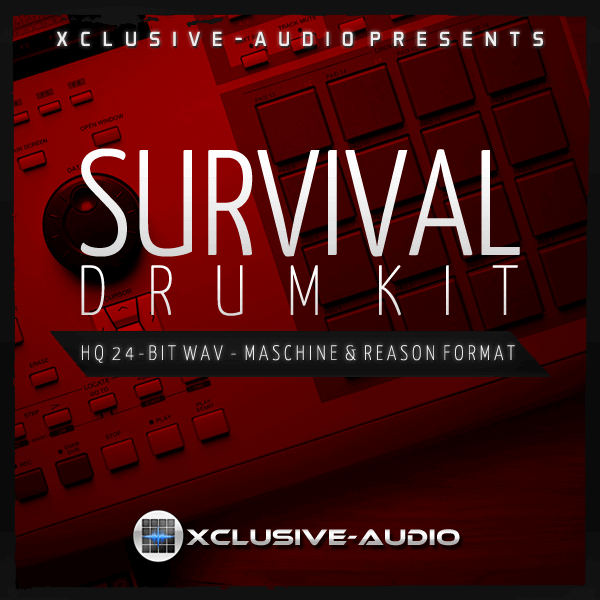 Xavier sold this sound kit, Survival Drum Kit, through another premium vendor of sounds before even launching his own personal company, Xclusive-Audio! Xclusive-audio is a premium sound kit creator, in my opinion! We were chatting online one day, I mentioned to him about his Survival Drum Kit. He said he didn’t like the kit too much, and I was absolutely baffled! I thought the sounds were so unique, and the drum sounds had so much versatility to them. He sent me a message a few days later saying he went back and played with the kit a bit. He told me, “Hey, Riley – I played through that survival kit again, I actually really like it!”. There’s that saying that we are our own worst critics. As we create something, whether that be a beat, song, or sound kit, we think our work isn’t that great, but in the eyes of the user, they may absolutely love it. Love’s a super strong word for a sound kit, but I think you get my point. I’ve had Survival Drum Kit in my sound kit arsenal for a long time now. And I don’t plan on removing it any time soon. Xclusive-Audio always jam-packs their sound kits too, in terms of sounds to price ratio. I’d sometimes host contests through Beatstruggles, and Anno Domini Drum Collection Vol. 1 was one of the giveaway prizes! That’s how I was first introduced to the kit, and the group Anno Domini Beats! After going through this kit myself, I was mind-blown; like for real! I have never heard such useful hip-hop drums! Do you know what I ended up doing? I went and purchased this kit immediately! This was in my earlier days of producing, so I was still trying to find a solid set of sound kits. Anno Domini Vol. 1 has been such an amazing addition to my sound kit arsenal. These sounds are always a sure hit when I’m producing a pop-type beat, hip-hop type beat, and I’ve even used the drums in a dance track or two over the years! I cannot say this enough – these sounds were what made me realize what a good quality sound kit should be, compared to some of the lower quality kits I was purchasing before. Currently right now, I can only find this kit sold in a bundle. They are all super good, but Vol. 1 for what ever reason has just seemed to be my favorite out of all three. The bundle contains all three volumes, and you save because of it – so a win-win there! Urban Heat was a totally different approach to a sound kit, in my opinion, from Xavier over at Xclusive-Audio. When I buy a sound kit, I expect the kit to have certain features to stay in my sound kit collection. And Urban Heat delivers this with ease. Things such as a wide variety of drum sample lengths. I like to have short-tailed kicks, long-tailed kicks, super deep kicks, chest hitting kits, unique layered kits, sfx kicks etc. If you have 4-5 sound kits with these similar attributes, you will never need to purchase another sound kit! Xavier at Xclusive-Audio is amazing with his organization in terms of folder structure. For his drums folder, he has provided Long Kicks, Short Kicks, Booms, as well as Various Kicks for miscellaneous type drums. These snares and claps are a little more geared to trap, but that really doesn’t mean anything because you can always EQ, compress, and adjust this sound to your own liking – especially if you start layering. I especially like the percussion in this drum kit – again all organized in their particular sub folders like metallic (for tambourine-like sounds), drums for bongos, and a really cool Zaps & Blaps folder! Want to know how creative Xclusive-Audio is? They have also provided a folder called Stomp Box. The intended purpose of these is to layer them over top of your drums for a super powerful drum sound. Xclusive-Audio hand-crafts their sounds, and delivers huge bang for buck. They load the amount of samples to price ratio. 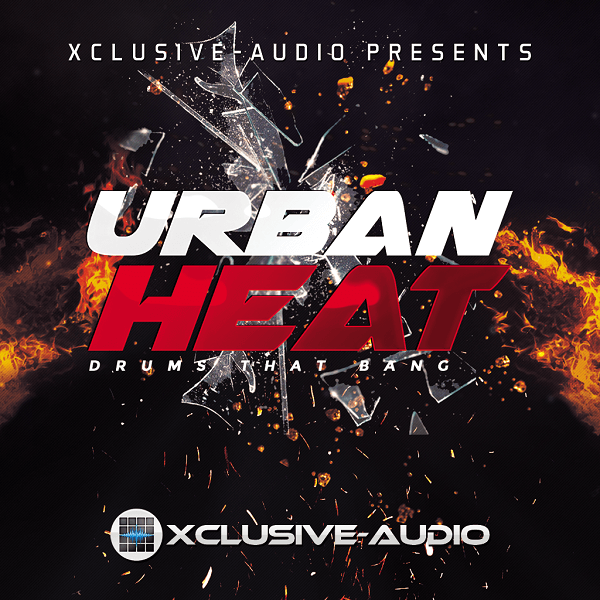 Get this, Urban Heat has over 500 sounds! That’s an insane amount of selection. Urban Heat is definitely a must, and that’s why it’s on my favorite sound kit list. Organic Drum Kit is actually a super unique sound kit. Don’t forget about the bundle deal if you decide to go with Xclusive-Audio! While chatting away, Xavier was talking about a new kit he’s been working on. He said it’s still in the works, but wanted me to test it out! I was all up for it, knowing his style and quality behind his hand-crafted kits. Again, I was amazed with the amount of sounds when opening up the kit – and this was just a kit in the works! I told him I really liked it, and hoped the best with sales! 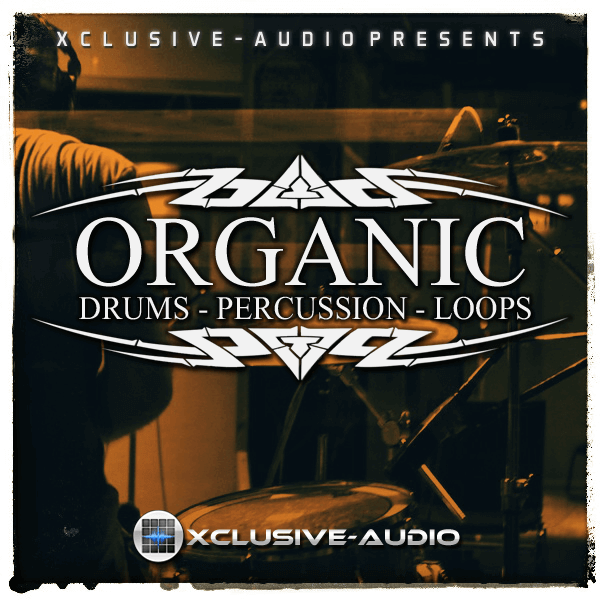 Now a couple months later, he released this kit called ‘Organic Drum Kit’. I purchased this kit from Xavier, and when comparing the test versione to the new release, I don’t think I found any of the similar sounds in it! I kind of laughed, cause I thought, “How many sounds does Xavier have on his hard drive that he’s created hahaha”. Anyways, this kit is a super unique kit. Even though it says organic drum kit, I feel it’s been spiced up for the digital age we live in. The layers and low-end of these kicks hit just right. In terms of mixing and processing, I don’t find myself pressing too hard in effects – just some distortion/saturation if anything to help my drums cut through my mix. Another sound kit added to my favorites – Organic Drum Kit. So far, these are my favorite kits to produce with! I have quite a bit of experience in terms of sound kits as I previously ran the sound kit website SoundPackFlyer.com where I featured many premium vendor’s sounds. These are my tried and true sound kits which I recommend to you. They inspire me, and help me to make my beatmaking process much easier. Please let me know if you have any questions in regards to the kits, I thoroughly enjoy them. Haha sorry dude! – #supportthem ! !